Are your kids getting you down because no matter how hard you try, you just CAN'T GET THEM OUT OF YOUR BED?? Well, then, you must check out The Big Bed, a hilarious new book by Bunmi Laditan (yes, Laditan of Honest Toddler fame! ), for some great belly laughs with your little ones. This month over @kidlitpicks, we're sharing the best books about art. Now, I know I may be interpreting "art" a bit differently than the rest of my pals, but the first time I read The Big Bed, I laughed so hard and thought to myself, wow - this child's argument is truly a form of art. Why? It's simple: her powers of persuasion are bar none. Learning how to compose a persuasive argument is undoubtedly "art," and Laditan's book, illustrated by Tom Knight, is a brilliant mentor text to help children learn about this type of critical thinking. In The Big Bed, a young girl has no interest in sleeping in her own bed in her own room (*ahem* nope, can't relate to that one at all!) So what does she do? She comes up with a winning argument and the perfect solution to her own problem: she gifts her dad a camping cot and attempts to convince him why he should no longer be sleeping in his own big bed where he belongs. 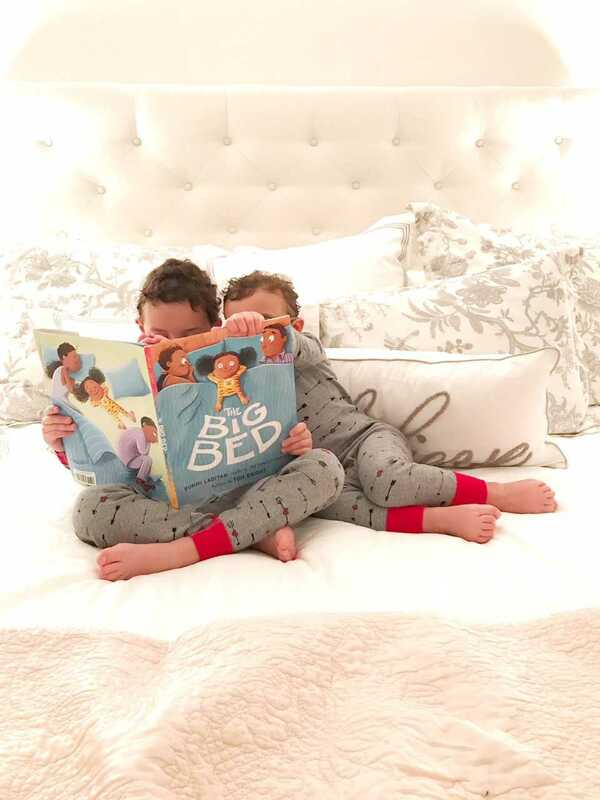 From the girl's well thought out arguments to her validation of her father's feelings, The Big Bed will have you laughing from start to finish. Will she prevail? You've got to get it to find out! I mean, how many of us exhausted parents are trying to get our kids out of our beds and into their own? The Big Bed offers a hilarious twist on this all-too-common nighttime scenario, and the manner in which this creative kid argues the reasons why her father should sleep on a cot rather than in his own bed are downright ingenious. If you are teaching persuasive writing in your classrooms, your students (no matter their ages) will laugh out loud at the child's inventive - not to mention rock solid - arguments. While they are laughing, though, they will also learn a thing or two about persuasive writing, including how every winning argument must be supported by valid evidence. Such a treat! Want the book? Get it here! The Big Bed, by Bunmi Laditan. *This is an affiliate link. HEE received an advanced copy of this book, but all opinions contained herein are expressly our own.